Research has shown that certain problems experienced by pregnant women can lead to their offspring having a stroke in later life. 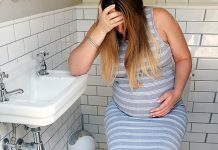 The study has followed the progress of people born in the thirties and forties to see what if any effects can happen in various conditions associated with being pregnant. The Helsinki Birth Cohort Study examined over six thousand individuals, almost two thousand of whom had been the result of a pregnancy blighted by either pre-eclampsia or gestational hypertension. Heart disease was not found to be associated with these complications, however, the risk from strokes was significantly increased, they noticed. Pre-eclampsia is signaled by high blood pressure, urine containing protein and the retention of fluid. A steady increase in blood pressure levels is the only sign of gestational hypertension. Interestingly both had a marked effect on the babies head circumference, in relation to the total length of the newborn. Investigator, Dr Kent Thornberg, of Portland’s Oregon Health and Science University believes it is the first study of its kind. Long term research has never been carried out before beyond the childhood stages, which had shown a rise in blood pressure amongst the subjects examined. 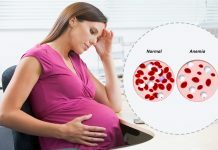 The findings were published recently in the Stroke medical journal reported that severe pre-eclampsia experienced during pregnancy could increase the risk of a stroke by almost fifty percent. Gestational hypertension was not as high as this but still significant enough to take notice. This type of research indicates that monitoring those born in these conditions could ultimately save lives although more research will likely be undertaken.